Scarlet-red shade with a yellow heart. Guaranteed to add an element of elegance to your garden. 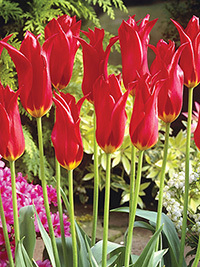 Lily tulips have curved, pointed petals, similar to a lily.